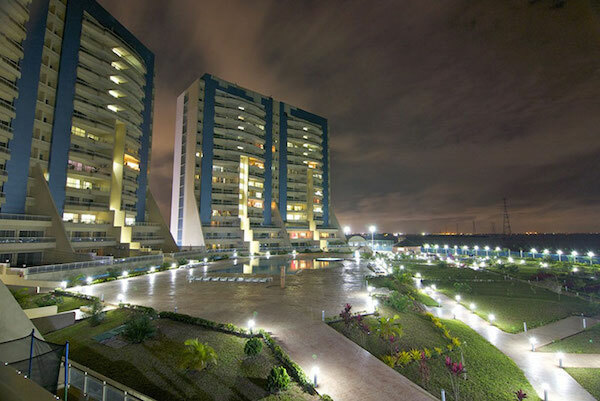 Justice Chuka Obiozor, a vacation judge sitting at the Federal High Court in Ikoyi, Lagos, on Monday, August 7, 2017, ordered the final forfeiture of a $37.5m( N11.75bn) property on Banana Island, Ikoyi, Lagos allegedly belonging to a former Minister of Petroleum Resources, Diezani Alison-Madueke. The order came following an exparte application filed on July 17, 2017 by the Economic and Financial Crimes Commission, EFCC. At the last adjourned sitting on July 19, 2017, counsel to the EFCC, A.B.C. Ozioko, while moving the ex-parte application, had urged the court to order the forfeiture of the total sum of USD$2, 740,197.96 and N84, 537,840.70 respectively found by the Commission in Rusimpex USD account No. 1013612486 domiciled in Zenith Bank Plc suspected to be proceeds of unlawful activities. Also, Ozioko had prayed the court to grant an interim order authorizing the Commission to appoint a competent person(s) or a firm to manage the assets/ property. Ruling on the applications, Justice Obiozor had ordered the respondents- Diezani, Afamefuna Nwokedi and Rusimpex Limited- to show cause within 14 days why the properties should not be forfeited to the Federal Government. At the resumed hearing today, counsel to the EFCC argued that the failure of the second and third respondent, Nwokedi and Rusimex meant that “they are not willing to contest the application”. In his ruling, Justice Obiozor ordered the final forfeiture of the property to the Federal government, in view of the failure of any interested parties or persons to contest the interim forfeiture order as published in a national newspaper by the Commission. The court also ordered the permanent forfeiture of the sums of US$2,740,197.96 and N84, 537,840.70 respectively realized as rent on the property. What? Another Mikey Mouse joke? What about the US$200 billion, yes, US$200 billion, of Nigerian looted money that is stashed in Dubai / UAE? What am I missing? Who is sleeping at the wheel? This Dubai / UAE looted money stash was all over the news. Adeola, get on to the real money and corruption issues please. If you don't go after them who will?